In society today there are so many issues that could lead to the success or failure of an organisation. The key to weathering these issues is to have an organisation with a set of strong foundations and the ability to perform self-evaluation and continual improvement. ISO 9001:2015 provides the necessary framework to make your organisation “weather proof”. Does the organisation work the way it was intended to? Do we know which areas of the business to monitor and measure to ensure consistent quality of outputs? Do we know how to perform continual improvement activities? If any of the answers to the above questions are NO, then it’s time for a change of mindset and practices. Why? To quote Albert Einstein, “Insanity is doing the same thing over and over again and expecting different results”. The great news is that guidance exists that can help organisations to adopt this new mind set and help them on the road to reaching their full potential; it’s called ISO 9001:2015. ISO 9001:2015 is a Quality Management System (QMS) standard published by the International Organisation for Standardisation. The standard provides guidance for the development, implementation and improvement of a QMS (a set of interrelated processes that come together to deliver a product or service). Over 1.6 million certificates have been issued across 178 countries to date. 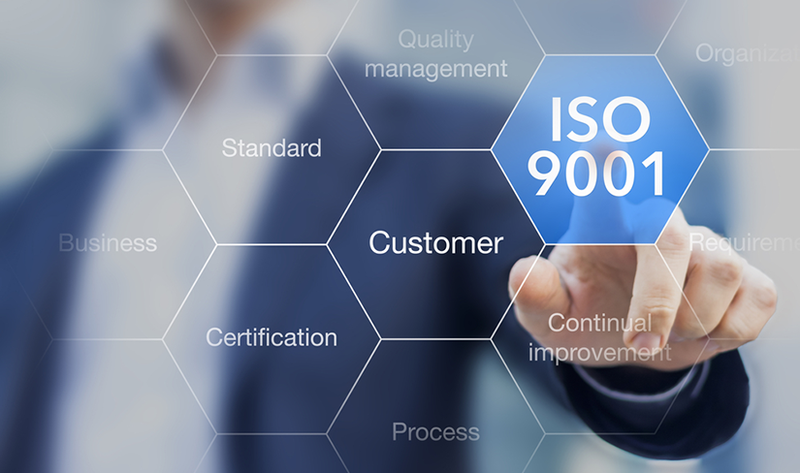 ISO 9001:2015 is internationally recognised as the standard that allows organisations to show that they can consistently and reliably meet the needs and expectations of their customers, prove their quality credentials, display excellence in the way the organisation operates and its dedication to continual improvement for the benefit of the organisation and its customers. With all of these tangible benefits within reach, can you really find a good enough reason to put off your journey towards ISO 9001:2015 accreditation? Any organisation not yet convinced should consider the words of former US Deputy Attorney General Paul McNulty; “If you think compliance is expensive – try non-compliance”. Join me in the next instalment of this 3 part blog series where we will discuss the benefits of adopting the 7 principles of Quality Management upon which ISO 9001:2015 is based.